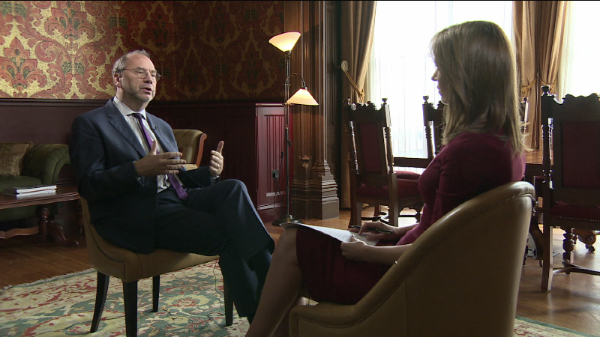 On Saturday’s episode of Talk to Al Jazeera, Belgian microbiologist Peter Piot speaks frankly with presenter Felicity Barr about helping discover the Ebola virus in 1976. “It was the highlight of my life,” admits Peter. “It's a dream of every microbiologist to discover a new virus." 28 years later, he’s critical of The World Health Organisation’s (WHO) response to the current outbreak. "It took three months for the WHO to find out there was an Ebola outbreak. That I understand. Guinea had a poor laboratory infrastructure,” he says. “I have much more of a problem with the fact that it took five months for WHO, for the international health regulations committee, for that's what it is, to declare this a state of emergency. “It took a thousand dead Africans and two Americans who were repatriated to the US because they were infected. There's no excuse for that… It took too long; we wasted too much precious time." For example, he criticizes the governors of New York and New Jersey for mandating quarantine for healthcare workers returning from West Africa. “Of course, people have become infected,” he says. “One nurse has become infected in Texas, but you know, putting people in quarantine who return from West Africa for 21 days – as some US states are imposing – doesn't make sense from a public health perspective. It's not cost-effective and also it's a major deterrent and disincentive for supporting the countries in West Africa. “On the one hand, countries like the US and the UK really provide admirable support – money, human resources, even the military — and that's great. But you can't then say at the same time: 'When you come back, we put you quarantined for 21 days,' because then, you know, the number of people who want to do this, they usually have a busy life, they won't be volunteering anymore." Talk To Al Jazeera’s interview with Peter premieres on Saturday, 6 December 2014 at 0400. For more information, visit http://www.aljazeera.com/programmes/talktojazeera/ or http://www.aljazeera.com/news/africa/ or follow #ajafrica on Twitter. ALICANTE, Spain, December 2 – Chris Nicholson’s stranded Team Vestas Wind crew are finally on their way back to civilisation after two days sitting on a remote ‘sand pit’ in the Indian Ocean, where there was a risk of shark encounters. The islet is serviced weekly by a 20-metre fishing vessel, called ‘Eliza’, from Mauritius, which is some 430 kilometres away to the south-west. A trip to the holiday island takes more than a day to complete. Australian skipper Nicholson’s nine-strong team finally were on their way after taking the ‘Eliza’ on Tuesday. From there, they plan to fly to Abu Dhabi at the end of the week. Neil Cox, the team’s shore crew chief, told volvooceanrace.com on Tuesday: “We’ve had nine guys sitting on a sand pit in the middle of the Indian Ocean. He added: “They’re telling me about a fisherman they found out there, who’d been basically mauled by a barracuda and there was barely much left of him to deal with. “We want to make sure that even the simple things are covered; a clean T-shirt, undies, a toothbrush, a bit of food,” he said. “The coast guard here did a flyover yesterday and they parachuted in cans of Coke, chocolate and cookies. Nicholson is a twice-Olympian, who is one of the most experienced off-shore sailors in the world. He said that a ‘mistake’ had been responsible for the collision with the reef, but did not elaborate. Cameraman Yasser Al Jumaili’s unseen footage offers chilling insights into the lives of rebel fighters behind Syrian frontlines – but he pays the ultimate price. A year after his murder in Syria, Al Jazeera honours Iraqi freelance cameraman Yasser Faisal Al Jumaili, whose last footage of rebel groups cost him his life. As the world demands to know who ISIL are, this film offers access to ISIL in their early phase, along with Al Nusra Front, The Free Syrian Army, Al Tawhid Brigade, and Ahrar Al Sham groups. On 20 November 2013, Iraqi freelance cameraman Yasser Faisal Al Jumaili crossed the Turkish border into Syria with his trusted Syrian fixer Jomah Alqasem. By this time in Syria, various rebel groups were splitting from one another along ideological differences. Yasser’s assignment was to access the groups and build a picture of who these men were, away from rhetoric, both off-duty and on the frontlines. Now, in this film, only Jomah lives to tell the tale of their last assignment together. Yasser manages to get access to ISIL in the early days, before they were on the world’s radar, before they had declared the caliphate. This was the moment they turned on other rebel groups considered traitors to their aims of establishing an Islamic state in Syria and Iraq. His vivid account of their journey portrays the fragility of being embedded in a fast-changing war environment. 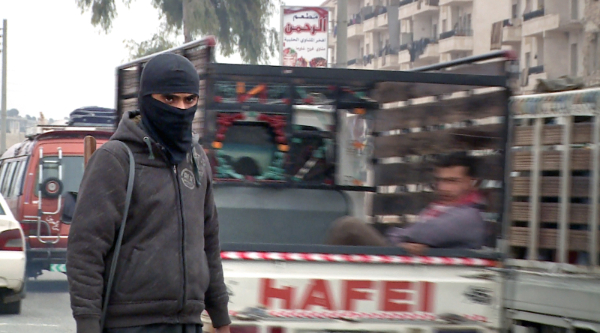 On 4 December 4 2013, as the crew headed for an interview with a top Nusra Front figure, their car was stopped. Yasser was shot multiple times with a Kalashnikov, his body left in the road. Yasser’s killers remain unknown. In this film, we discover Yasser the journalist and the man, from moving accounts of those who knew him best professionally. But his unique footage, later smuggled out of Syria by friends and colleagues, stands here as the greatest testament. Syria, The Last Assignment, airs on Al Jazeera English on 6 December at 20.00GMT and later available to view at www.aljazeera.com/syriathelastassignment. Jomah, Yasser’s fixer, is available for media interviews. Yasser is based near to the Turkish-Syrian border and has Skype. He does speak English fluently but Arabic being his mother tongue, he is a better storyteller and his account is richer in Arabic. ALICANTE, Spain, December 1 – This graphic picture (below) shows the stricken Team Vestas Wind lying in a reef in a remote Mauritius archipelago of St Brandon after being grounded there at the weekend. The team and race organisers are now working out the best way to recover the Volvo Ocean 65 in the Indian Ocean. He said his focus was still the security of the nine members of the crew. “We have still got nine guys sitting on what is basically a sand pit out in the middle of the Indian Ocean. Cox said that sail ropes, fluids, electronics and hardware had been taken off the boat. The nine-strong crew abandoned ship in the early hours of Sunday morning after the collision at 19 knots at 1510 GMT the previous day and waded through knee-deep water to a dry position on the reef. They were picked up from there at daylight by a coastguard rib and taken to the nearby Íle du Sud. The islet has very little communications with the outside world and the crew are awaiting transportation back to Mauritius. This is expected to happen within the next 24 hours. The National Coast Guard of the Maritime Rescue Co-operation Centre (MRCC) of Mauritius took the pictures as part of its usual operations after such an incident. The crew have received food packages via an airdrop from a coastguard plane. It confirmed that all were uninjured in the collision. This edition of the Volvo Ocean Race is the 12th running of the 40-year-old event, which started in 1973 as the Whitbread Round the World Race. The race started on October 4, 2014, day of the first In-Port Race in Alicante, Spain, and will finish with one last In-Port Race on June 27, 2015 in Gothenburg, the Swedish home of Volvo. The 38,739-nautical mile route will include stopovers in Cape Town (South Africa), Abu Dhabi (UAE), Sanya (China), Auckland (New Zealand), Itajaí (Brazil), Newport (Rhode Island, US), Lisbon (Portugal) and Lorient (France). A 24-hour pit-stop in The Hague is scheduled between France and Sweden. This and the next edition will be contested in a new high-performance boat, the Volvo Ocean 65, designed by Farr Yacht Design in the United States and built by a consortium of boatyards in the United Kingdom, France, Italy and Switzerland. The new 65-foot (19.8-metre) monohull racing yachts will be strictly one-design and delivered “ready to sail”. The boats incorporate the latest video, satellite and content production facilities to further enhance the Onboard Reporter programme that has been in place since 2008-09. Seven teams have been announced for the 12th edition. The all-female Team SCA are the first all-women's team to compete in the race since 2001-02. Abu Dhabi Ocean Racing are once again skippered by Britain's twice Olympic silver medallist Ian Walker. Dongfeng Race Team come from China and are backed by Dongfeng Commercial Vehicle. 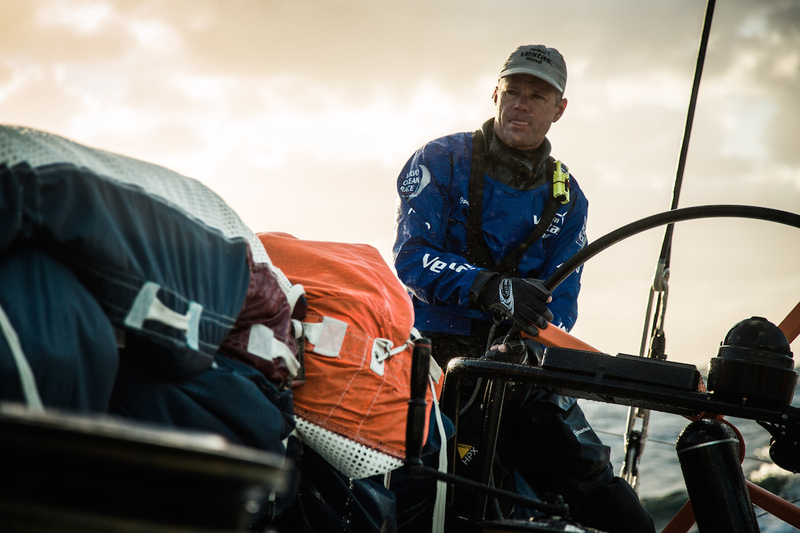 Team Brunel from the Netherlands are skippered by race veteran Bouwe Bekking. Team Alvimedica with a double flag (Turkey/USA) will be headed by Rhode Island's Charlie Enright. A Spanish team was announced in June and is backed by insurance giant MAPFRE. Denmark's Team Vestas was the final boat to be announced in August. Chris Nicholson will be skipper. The previous Volvo Ocean Race started in October 2011 in Alicante and was won by Groupama sailing team, skippered by Frenchman Franck Cammas, in July 2012. ALICANTE, Spain, November 30 – Australian skipper, Chris Nicholson, spoke on Sunday night of his immense pride at the way his Team Vestas Wind crew came through the ordeal of being grounded and being forced to abandon their boat in complete darkness on a remote Indian Ocean reef. Nicholson, 45, said he had to make 'the number one toughest decision of my life' to leave the stricken Volvo Ocean 65 in the small hours of the morning after it was effectively beached on the reef on an archipelago of islands called St. Brandon, 430 north-east kilometres from Mauritius. He was interviewed by volvooceanrace.com on Sunday night as he surveyed the idyllic, but remote, island of Íle du Sud, where he was transported with the rest of his crew to safety as day broke following a night of drama. He told how the boat had run into the reef at around 19 knots and yet astonishingly, none of the nine on board suffered even minor injuries. Nicholson was also amazed that the boat survived the impact without breaking up immediately. He said his plan had been to keep the crew on board until daybreak, before being rescued, but had practised a drill for abandoning the boat 15-20 times, ‘never with the intention of having to do it', he explained. However, the ‘massive pounding’ of the waves eventually told and Nicholson decided he had no option but to abandon ship, the most dreaded words a skipper can utter. He and his crew then waded across the reef in knee-deep water in their boots before finding a mercifully dry spot where they waited for a coastguard RIB to take them to Íle du Sud and safety. Nicholson, who at times struggled with his emotions during the 20-minute long interview, said the spirit of his crew after such a blow had stunned him. “I always believed that we were a strong team. He now plans to meet up with shore crew chief Neil Cox (AUS) and assess the chances of salvaging the boat. “We have a pretty unique group of people to get as good an outcome as possible,” he said. 29 November, Doha – In commemoration of the UN International Day of Solidarity with the Palestinian People, Al Jazeera Media Network launches” Palestine Remix” a first of its kind interactive website. 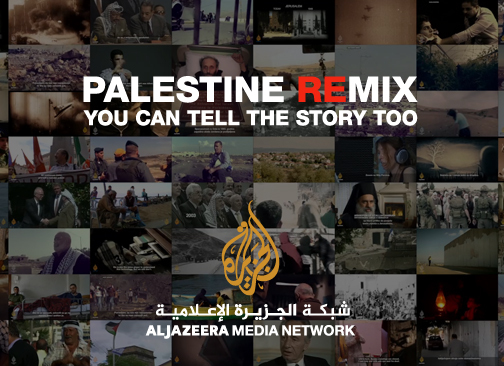 “Palestine Remix” allows users access to some of Al Jazeera's best documentaries on Palestine. It enables people to cut-and-paste the footage to tell stories or part of stories with, and share it immediately through different social media platforms. The remix tool is a built-in simplistic video editing software” that allows users to build their short films in minutes. The project also boasts interactive maps and timelines which allow users to truly understand the Palestinian issue and contextualize it. “This project is not just about telling important the story of Palestine. It’s about creating new ones. We want to give you a new way to understand, tell and share stories about Palestine. That’s why we created Palestine Remix: to put the power of storytelling into your hands.” – Rawan Damen, Palestine Remix’s Project Manager. The database provides the user the ability to watch the full documentaries with their full transcripts, which allows the visitor to click on a word in the transcript and go directly to that point in time in the film, saving a lot of real time searching in films. The user can also can pick and choose, mix and match the extracts of different films or view the full films in a coherent context, in addition to searching the full transcripts using any word, name, place or concept. The database contains 84 hours in the 4 languages, with more than 250 people, 580 places and a timeline that spans for 215 years. It also provides drone footage of iconic places in historic Palestine: Jerusalem, Acre, Gaza and many others. Palestine Remix is the first of its kind on the Palestinian issue, has a special mobile user friendly version and will be a mobile application before the end of this year. Doha – 26/11/2014: Al Jazeera is organizing its first ever hackathon event where some of the most innovative minds in media and technology from around the globe will convene to work together and collaborate on this year’s theme “Media in Context”. The inaugural event titled Canvas will be held in the Qatar National Convention Center in Doha from November 29, 2014 through December 1, 2014. As part of Al Jazeera’s Innovation & Research Group commitment to explore and create concepts, ideas, and solutions at the intersection of media and technology, 80 finalists have been selected among 1,600 applicants from around the world to participate in this year’s hackathon. “We believe that exploring new forms of contextually-aware media at this year’s hackathon will help us better serve our audiences. With the help of our partners for this year’s Canvas, we are creating a space to explore and invent solutions to challenges that advance humanity and build the foundation for years of media and technology research to come” said Dr. Yaser Bishr, Executive Director of Strategy and Development. The 90 finalists represent the diversity of the event in skill, region, gender and age. The largest percentage of applicants and finalists were from North America (27%), Europe (24%) and MENA region (20%); with a gender balance of 60% male and 40% female participants. Most of them are developers (45%) with an additional group (26%) who have joint skills as media professionals and developers. 40% were within the age of 25-30 and 34% from ages 18-24. 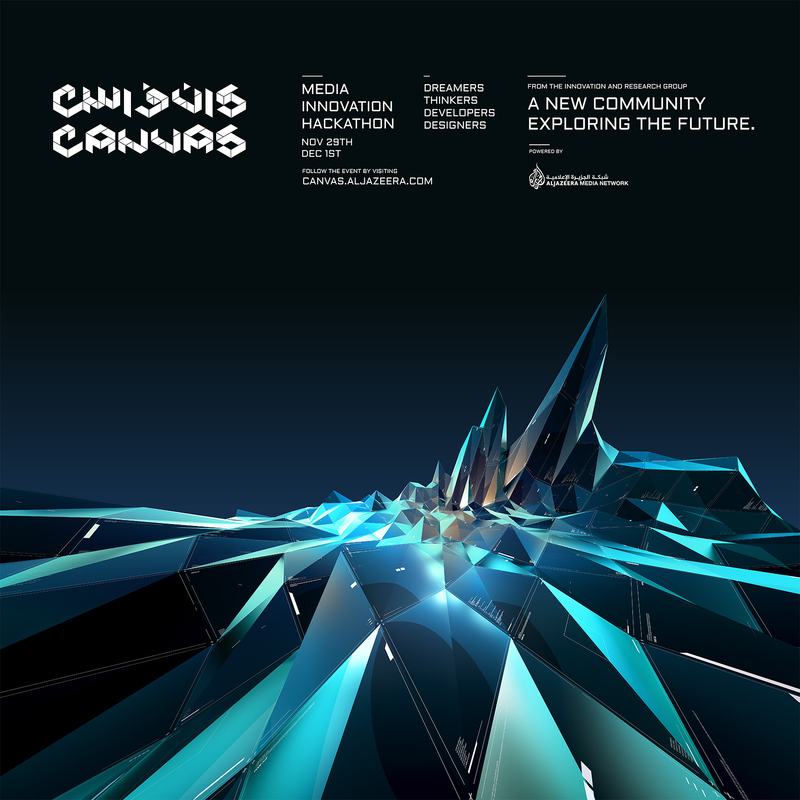 The Canvas program will challenge participants to explore and invent solutions that will push forward media technologies. The participants will be divided into teams to work on these challenges with the help of mentors and judges; such as George Akra (TootCorp), Gianluca Brugnoli (Frog Design), Matt Carroll (MIT Media Lab), Joseph Germuska (Northwestern University Knight Lab), Ian Gill (McConnell Foundation), Ossama Hassanein (Tech Wadi); Miranda Mulligan (Northwestern University Knight Lab); Mohamed Nanabhay (Global Voices Online); Matteo Penzo (Frog Design) and Christopher Wink (Technical.ly) among others. The judges will assign prizes to the best creations. The hackathon prize pool includes $25,000 cash as well as a variety of swag items. Each of the teams that win one of the 5 major awards will receive $3,000 cash. These five major prizes correspond to one of the five themes in the Judging Criteria. The prizes will be for “Most Innovative”, “Greatest Potential for Use”, “Greatest Impact on Media, Journalism, or Technology”, “Highest Technical and Design Quality”, and “Best Embodiment of the Values of Al Jazeera and the Journalism Profession”. Minor awards will also be given $1,000 cash for best 7 solutions addressing challenges in Production Phase, Distribution Phase, Consumption Phase, Personal Context, Situational Context, Cultural/Historical Context, and Editorial Context. As a part of Al Jazeera’s ongoing engagement with its audiences, Al Jazeera calls on its audiences to vote for the “Community Favourite Award” which will be solicited and conducted for two weeks. All submitted solutions from all teams and their presentations will be listed on the Canvas website with public voting capabilities after the Media in Context hackathon. At the end of the voting period, the “Community Favorite Award” will be given to the team with the solution that receives the greatest number of votes from the community. Innovative virtual BrainCoach now available! Copenhagen, Denmark– The Danish brain training company Brain+ launches the virtual brain trainer, BrainCoach, which helps the user’s brain to perform better in everyday life with the use of tangible and powerful techniques. BrainCoach launches as a new feature in the Brain+ Brain Traning app on November 27. BrainCoach teaches the user about the brain, about a wide range of powerful techniques and optimum lifestyle for a healthy and efficient brain. At the same time it helps the user through specific exercises to incorporate these techniques as mental habits in a variety of everyday situations. This improves the brain’s abilities in basic areas such as attention, memory, planning, problem solving and focus. It provides the user with improved performance in areas such as learning ability, reading speed, creativity, emotional intelligence and stress management. In the long term BrainCoach wants to help the user maintain mental sharpness and brain health throughout life and prevent disorders such as dementia. The user is taught through a series of 5-10 minute long mini-audiobooks, SmartSessions, each teaching the user about a specific brain function, a technique and an exercise to incorporate it into everyday mental habits and lifestyle. BrainCoach is a type of feature that is not found in other market offerings and CEO and co-founder of Brain+, Kim Baden-Kristensen, is pleased to provide users with a new tool that can be used side by side with the existing brain training games in the app to lift the benefits to new heights. – “With the addition of BrainCoach, we increase the width of the exercises in the Brain+ platform and integrate them in people’s daily lives. We offer a personal brain trainer that delivers practical brain training techniques and exercises, delivered as audio clips and presented in a pleasant graphical universe. With this new feature we offer brain training in a variety of everyday situations that extends far beyond the time spent in the Brain+ app” said Kim. The hope is that users will use BrainCoach in the same way that they use an instructor in a gym – a support that inspires and pushes them to perform better every day. The new addition is, according to Kim Baden-Kristensen, another step on the road to becoming the world’s leading supplier of digital brain training. To begin with the BrainCoach contains 30 SmartSessions with 10 more to be added every sixth week. On www.brain-plus.com you can read more about BrainCoach and learn about some of the mental techniques in the app. Brain+ is a Danish company providing scientifically validated, effective and engaging brain training. Besides BrainCoach, the Brain+ app contains a series of scientifically designed brain training games that improve core mental abilities in the areas of attention, memory, problem solving and planning. The vision for Brain+ is to improve people’s quality of life by helping them realize their brain’s potential. Brain+ games are developed in cooperation with leading neuroscientists from the University of Copenhagen and are suitable for people of all ages. The app is available for iPhone and iPad and can be downloaded and tried for free. In the spring of 2015 the app will also be available on other mobile platforms. Premieres 17 November on Al Jazeera English (22.30 GMT, 10.30pm London) Painting rhino horns pink and deploying drones to save wildlife; aquapods and fish boxes for sustainable fishing; from urban mining to urban farms; marine rejuvenation and island sustainability; the new series of earthrise highlights innovative solutions to environmental issues around the globe. Al Jazeera focuses on the people around the world making the planet a better place, in the return of award-winning environmental and conservation series earthrise. Premiering on Al Jazeera English on 17 November at 2230 GMT (10.30pm London), the series is unique in highlighting ‘earth heroes’ across the world who are coming up with solutions to environment problems. In the premiere episode on 17 November earthrise reporter Russell Beard joins Kenyan-born ‘local hero’ Martin Wheeler, otherwise known as Birdman, as he channels his love of birds into his own passion for flying. 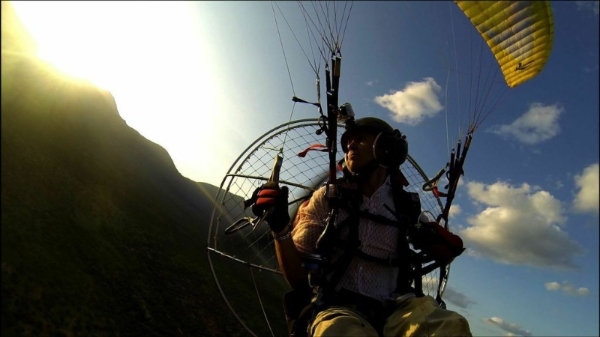 From his small paramotor (a powered paraglider), Martin works with local rangers to identify poaching threats from the air, relaying locations and information back down to the rangers on the ground. The second story highlights how a hunting ban on sea otters is helping to improve marine forests known as seagrass beds, in Monterey, California. In the second episode on 24 November, earthrise looks at one of TIME magazine’s top 25 inventions of 2012, the ‘Aquapod’ and how it is helping farm healthier and more eco-friendly fish in Mexico. Secondly, rangers in South Africa have come across a rather novel solution to protect rhinos from poachers – turn their horns pink. As the number of rhinos killed for their horns escalates to crisis level, conservationists in the Kapama Game Reserve are injecting the horns of rhinos with a mixture of insecticide and indelible dye of the type used by the security industry. The dye not only spoils the highly prized horn for trophy purposes but also makes it detectable by airport scanners and toxic for human consumption. On 1 December, we look at how the critically endangered Sumatran orangutan is being given a boost thanks to two major Indonesian NGOs who have planted hundreds of thousands of trees in degraded areas, and released nearly 200 primates into the restored area, monitored by remote controlled drones, allowing rangers to locate and check up on the orangutan groups once they’ve been released. Secondly, earthrise looks at the surge in urban mining and visits Umicore in Belgium, one of the world’s most efficient metal recycling plants. On 15 December, earthrise features a Bangkok start-up called EnerGaia, who are pioneering an urban farming model that uses neglected urban spaces to cultivate spirulina, a fast-growing blue-green algae that converts carbon dioxide into nutrients, protein and oxygen. In contrast to the large, shallow, open-air ponds traditionally used to grow spirulina, EnerGaia’s small closed-system tanks can be installed on whatever land is available, including rooftops in urban centers. Secondly, a marine biologist, a fisherman and a food entrepreneur have launched the UK’s first responsibly sourced commercial fish box scheme, modelled on organic vegetable boxes. Their aim is to create an alternative market for fresh, local seafood that’s sustainably caught. Finally, earthrise looks at Europe’s first “nutrient recovery reactor” and how it is reclaiming the phosphorus from human waste and turning it into fertiliser pellets, thereby making money and protecting waterways by recycling valuable minerals. Finally, on 22 December, earthrise looks at reducing carbon emissions on the Caribbean island of Barbados. The island is a world-leader in solar thermal technology, with over a third of homes fitted with solar water heaters – saving millions of dollars in imported fossil fuel costs and millions of tonnes of carbon dioxide every year. With the help of some pioneering ‘local heroes’ the shift to a greener economy is also beginning to happen in many other areas, including food and tourism. Russell Beard travels to the sunshine nation hoping to lead the way in small-island sustainable development. On Tuesday, November 18th, 2014, Al Jazeera English will start broadcasting a three-episode documentary series commemorating one hundred years since the outbreak of the Great War. In this series, Producer Journalist Malek Al Tureiki, provides a political and cultural reading into World War I from an Arab and Islamic perspective, citing the commencement date of the war as November 14th 2014, when Arabs were involved in the “jihad” against the Allied troops upon the call of the Mufti of the Ottoman Empire in Istanbul. This is in juxtaposition to the date Britain commemorates the war on August 4th, 2014 – the day it entered the war. The series sheds light on how colonized nations, which had no say in their own fate, ended up being forced into wars which resulted in enormous sacrifices. As a result of this, the number of victims within the Ottoman population, including Arabs, is in fact much higher than that of the Europeans. While the percentage of victims in Germany was 9% and 11% in France, it reached between 14-25 % in Turkey and the Levant. It was also in the Battle of Gallipoli that Mustafa Kemal Ataturk, the founder of modern day Turkey, began to rise as a military commander and political leader. The unknown truth until today, even in Turkey and the Arab World, is that two thirds of the troops involved in the Ottoman victory over Allied troops were from Iraq and the Levant. 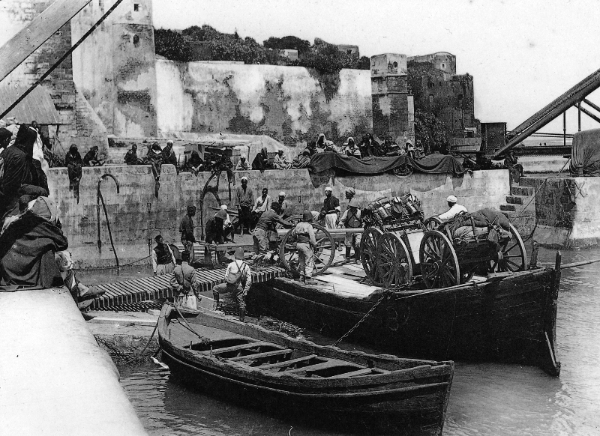 World War I through Arab Eyes relies on archival materials presented for the first time, telling the fascinating story of how the war affected the Middle East – reverberations still being felt to the present day. GMT, following which it will be available online.